For quite some time now, women have been striking out on their own and taking advantage of the increased security afforded to them in the modern world. The relaxing of social ‘norms’ and the levelling of gender equality is also a massive step in the right direction, meaning women no longer have to adhere to the mistaken belief that travelling without a companion is an inadvisable idea. As with any online community, blogging plays a big part in being able to efficiently share tips and advice to fellow travellers and this is particularly true of female globetrotters who share a sense of fierce camaraderie as they go about their business. Ultimately, blogging affords us the opportunity to self-publish firsthand experiences from the road in an effort to inspire anyone that may followin our footsteps. Given the size of the demographic, it is of no surprise that the amount of active blogs written by female travellers numbers into the hundreds (and probably multiple thousands). 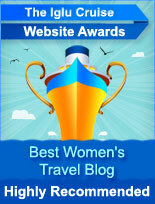 The team has once again aggregated the best blogs on the subject for your review and enjoyment, while at the same time using the opportunity to award them for their fine writing skills and services to women travelling the world over.